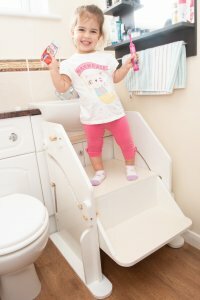 Margaux was struggling to use the washbasin in the family’s bathroom so her OT at Derby Children’s Hospital put the family in touch with Remap. Remap is a national charity with an army of ingenious volunteer inventors who love making things. They produce equipment and gadgets for young or old alike which are provided free of charge. 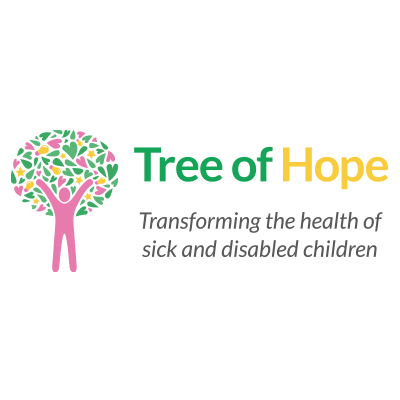 The aim is always to help people achieve independence and quality of life, filling the gap where no suitable equipment is available commercially. lock the steps in place, so they can’t move while Margaux is using them and because the platform and steps can be folded away, the unit does not have to be moved when other people need to use the basin. The unit gives Margaux the same independence as other children and is a good example of the free service Remap provides for families. There are many more examples of Remap’s work on the website www.remap.org.uk and their service is provided completely free of charge. If you have a specific challenge that Remap may be able to help you with, enquiries can be made through that website or their central office on 01732 760209.